GO F-24 Compared and Reviewed to Inkcups X2 Flatbed--What are the Pros and Cons? This is a second in a series of five articles comparing and reviewing the GO F-24 Small Format UV LED Flatbed to other products in the market. 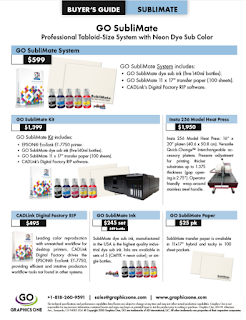 In our first article we reviewed the products from Direct Color Systems (DCS) and in this article we compare the Inkcups' printer to the GO F-24. Inkcups is a long time distributor and provider of screen printing and pad printing equipment. Of all the companies on our list, they probably understand screen printing the best. Based on this we believe their X2 is a solid product, but definitely pricey. The unit is manufactured in China by Amica and features Ricoh printheads.